What does it take to become a champion? Is it all about skill or is it simply a matter of luck? 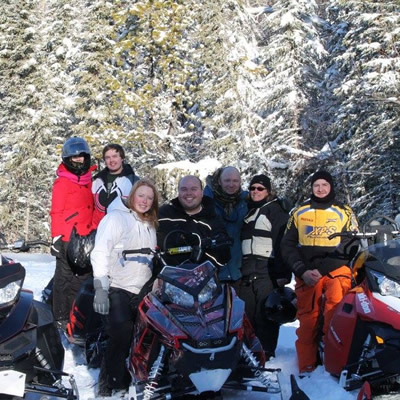 “Luck is where preparation and opportunity meet,” said Brett Turcotte, snowmobiler and two-time X Games gold medalist. “There are a lot of things that are attributed to getting those golds. The biggest part was to focus on my riding and training properly. When Turcotte says it took him a long time to reach the top of the mountain, he’s not kidding. “In 2008, I won my first-ever X Games medal and that was a silver,” he said. “At that time, it was the highlight of my career. I was ecstatic about that. Then I went on a bit of a lull where I went from 2008 to 2016 until I earned another medal again. 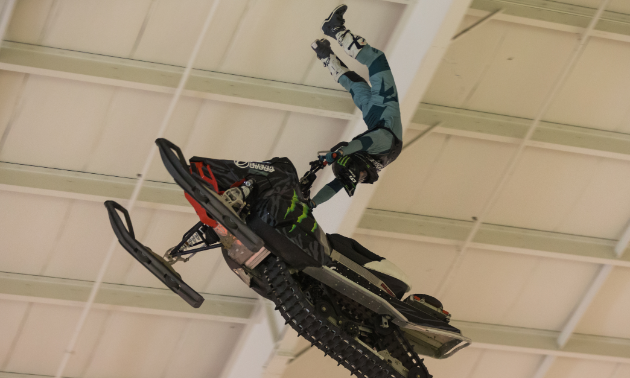 In the midst of Turcotte’s transition from racer to freestyler, the extreme rider had a wipeout that nearly cost him his life. 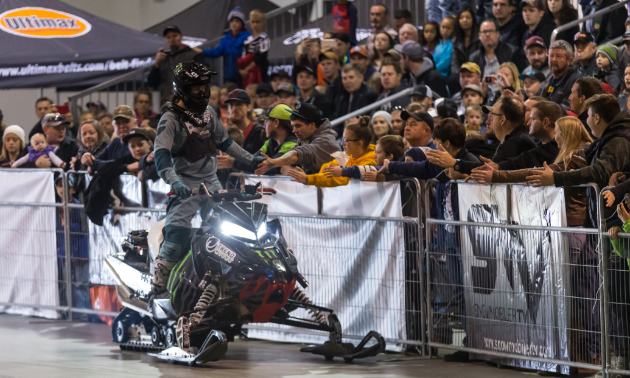 “Eight months before X Games last year, I was laying in a hospital bed dying,” said Turcotte. 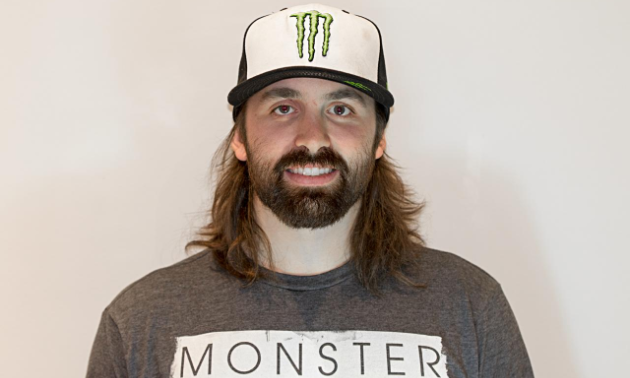 “I got in a dirt bike crash in May 2017. I lost 60 per cent of my blood and I broke my right ankle and tailbone. I was in the hospital for two weeks. It was gnarly. Surviving such a traumatic accident could’ve permanently sidelined Turcotte. Instead, he endured the pain and rose to heights he’d never known. “To be able to come back from that, feel the fire and have a bunch of motivation to succeed, those were all good things for me to put my best foot forward to try to win a gold medal,” he said. “It was the perfect time to show my ability and hard work and perseverance. When spectators marvel at Turcotte’s impressive aerial accomplishments, they might be inclined to think he’s some kind of superhero. It’s an appropriate thought, because he thinks so too. Even superheroes need a place to practise their skills. Batman has the bat cave. Turcotte has the Turcotte Compound. Even when Turcotte isn’t dazzling thousands of awe-struck onlookers with his fantastic flips, he’s living the dream right in his backyard. 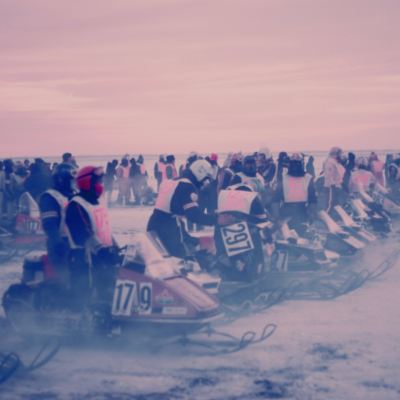 If you’d like to see Turcotte in person, head to Cranbrook, B.C., for CBK-X Winter Blitzville. 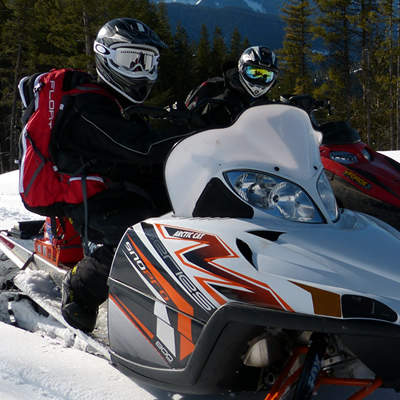 The event is free and takes place during Western Canada’s lone long weekend on February 16, 2019. Don’t rush into anything. Things can be done safely if done properly. Find the right resources in a training facility or someone who has a foam pit or an airbag. To be able to practise in a safe manner is really what’s going to give you longevity in your career. SnoRiders wants to hear your story. What you ride, where you ride and why you ride. SnoRiders catches up with the photo contest winner for the month of January 2018. 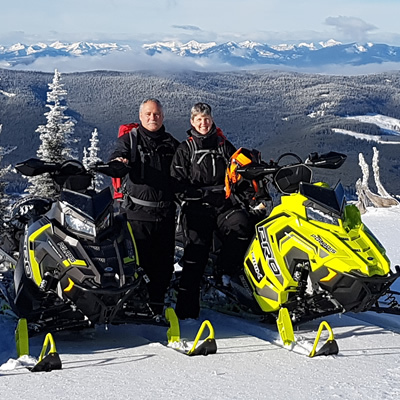 Congratulations to Bernie Ogonoski of Cranbrook, B.C., on winning the SnoRiders Hotshots contest in December 2017.